About two weeks ago I had a moment of panic. In high school it would have been realizing that I had forgotten about a paper that was due the next day, in adulthood it would have been remembering a conference call I was supposed to dial into about 5 minutes too late, and in motherhood it’s realizing that while I have a fabulous collection of toys, books, and knitwear my baby won’t actually need for a year or two, I don’t have any onesies. Or wipes. Or…I don’t know, stuff? Babies need stuff, right? 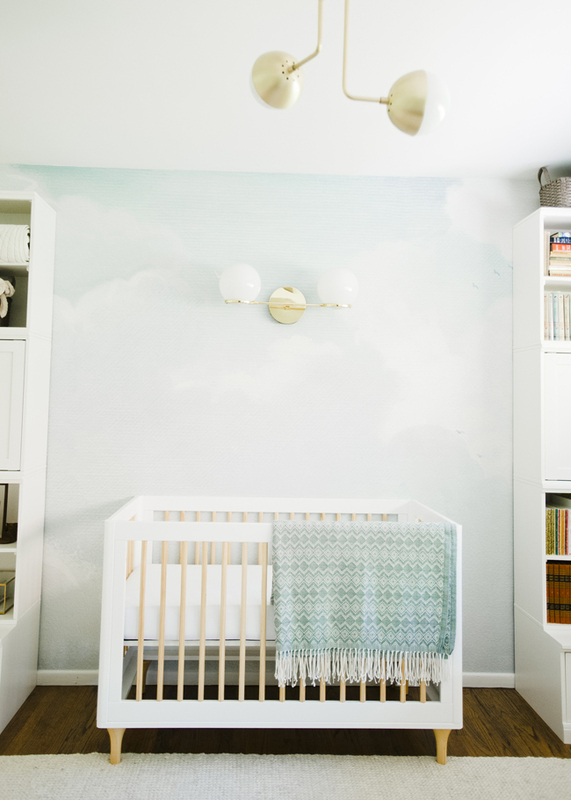 It was while I was putting the finishing touches on the nursery that I realized how much more I needed to prepare. The dresser I had converted into a changing station was empty. I texted my cousin “What goes into a crib?” only to find out it wasn’t a baby duvet and throw pillows, but nothing other than a mattress. My mom’s friend Carol had some wise advise for me. I breathed a sigh of relief, and realized that for at least the first few days, I could take care of my baby. Once this moment of panic passed, I was able to enjoy settling into the nursery. 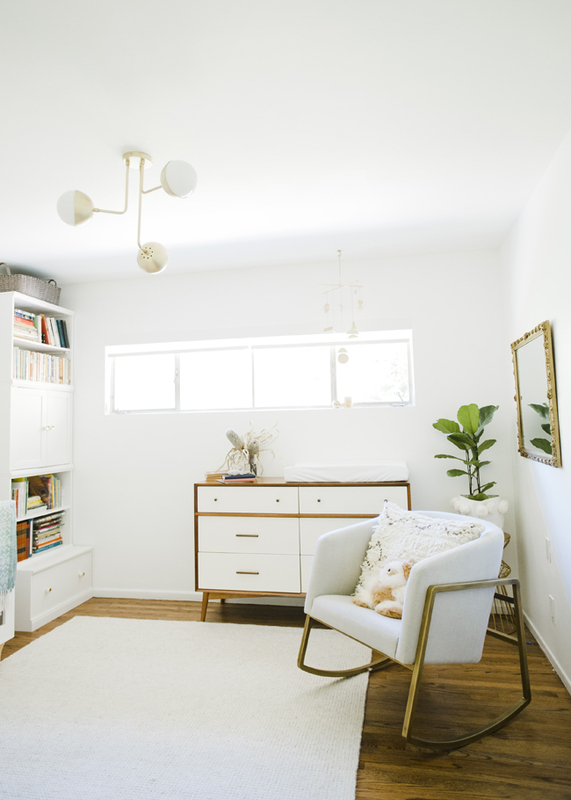 My goal was to create a space that felt like it was part of the house, rather than “the kid’s room,” and to balance aesthetic against utility. Everything needed to be useful, but pleasing to look at as well. After all, I was going to spend a lot of time here, too. The first step was emptying out the space. The nursery used to be the guest room, taken over by a queen bed and with a tiny closet. Once I was left with four walls I quickly realized two things: the room isn’t that big and I needed storage, badly. 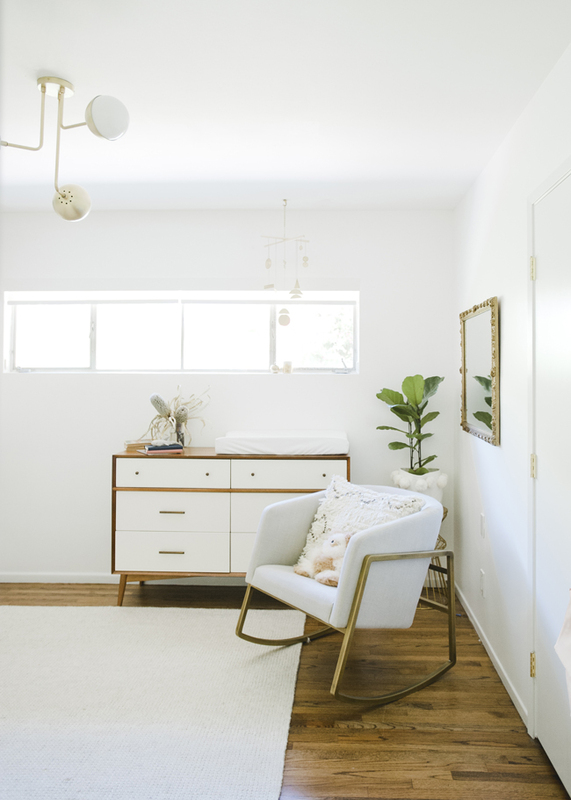 Before starting the planning for my baby’s nursery, I reached out to some of my favorite brands to collaborate. 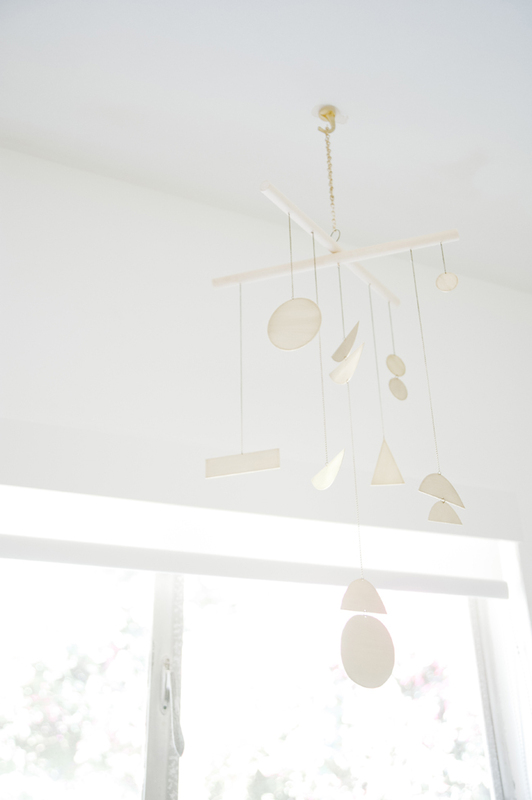 I’ve included links to the fabulous items I received from them, as well as some of the other key pieces in the nursery. You can find all of the links at the bottom of this post. I connected with Pottery Barn Kids and immediately gravitated to their Cameron book shelf. I loved how modular it was. 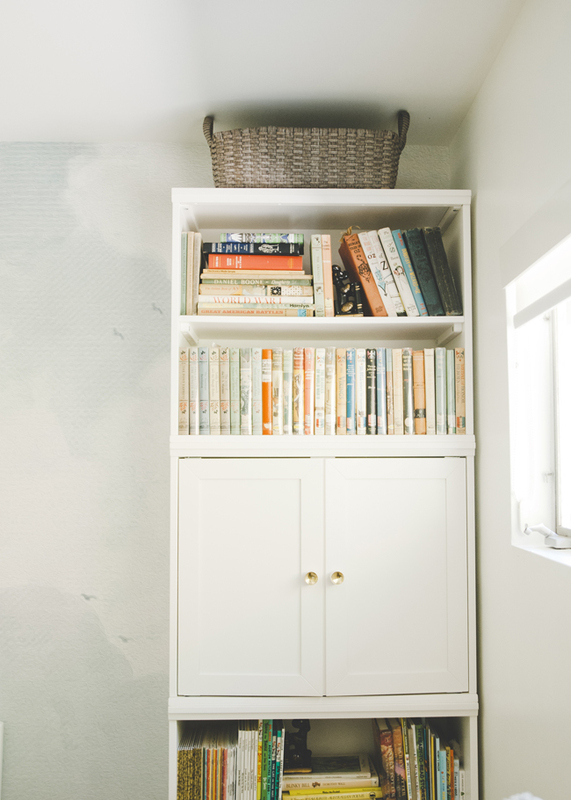 You could create any kind of shelving solution you needed: drawers, cupboards, market bins. And my husband was relieved by how easy it was to put together. We were able to assemble two large columns in under an hour, and had our handyman attach everything to the wall. 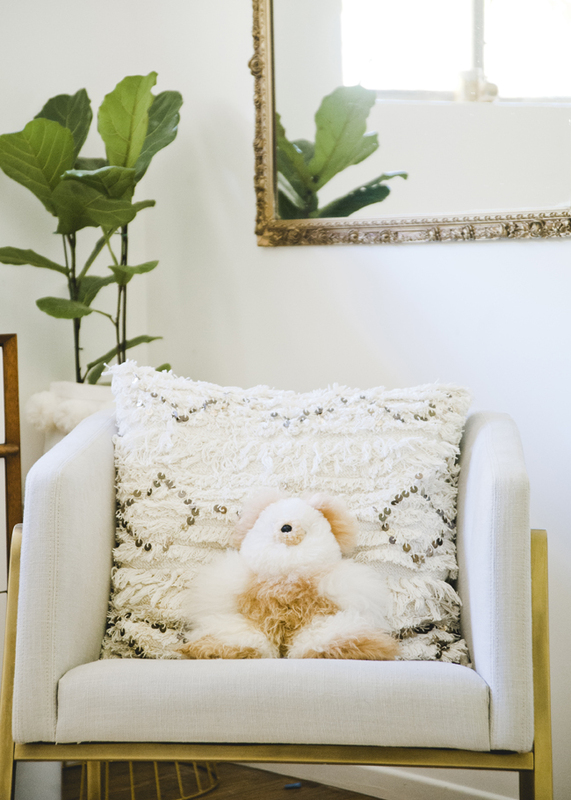 For toys, stuffed animals, and even as a hamper in the closet, I chose the Hudson Storage baskets and the Emily and Merritt Pom Pom canvas baskets. 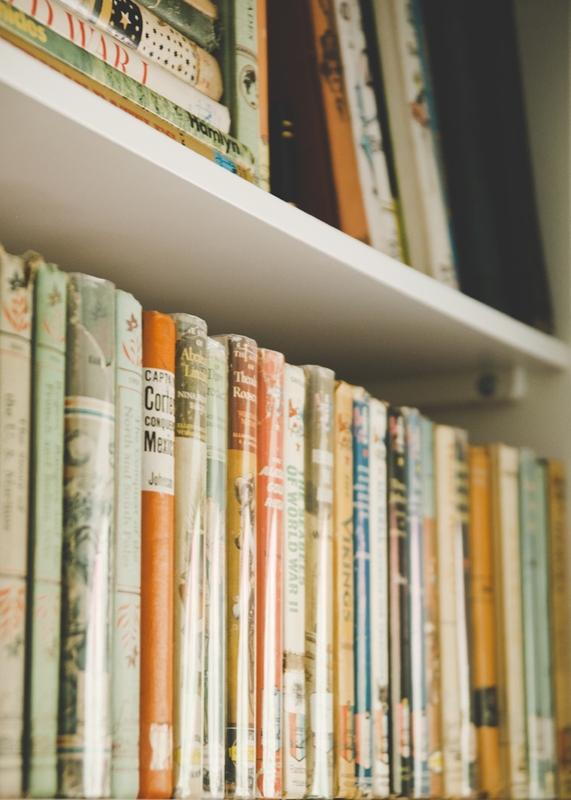 I filled the bookshelves with the Childcraft series and Oz books my dad used to read to me, and all of the vintage children’s books left over from my little brother’s childhood bedroom. We’re book people, and one of the most exciting things about having a child is what books I’ll get to share with them. My husband, father, brother and I have already started carving up the list of who gets to read what to baby James when the time comes. 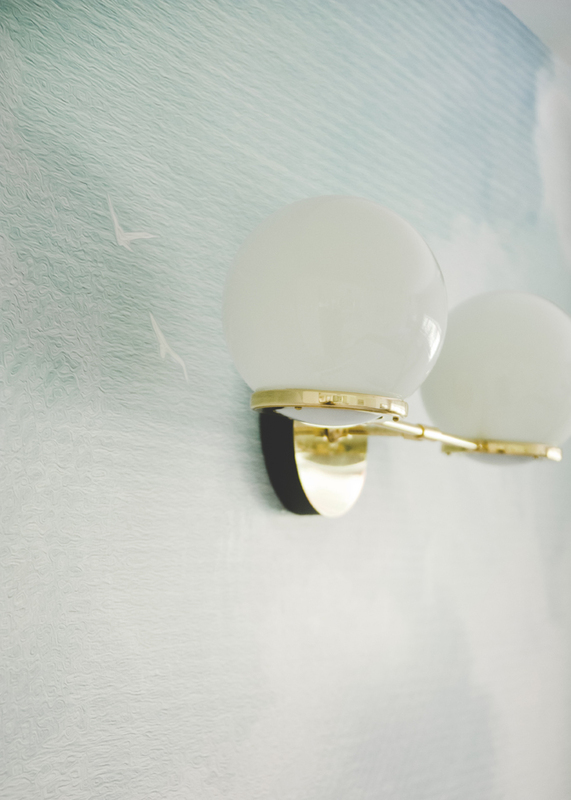 The anchoring piece in the room is the gorgeous wall mural from Anewall. I wanted to go a little whimsical, but not so over the top that I’d just have to redo the room again in the next few years. 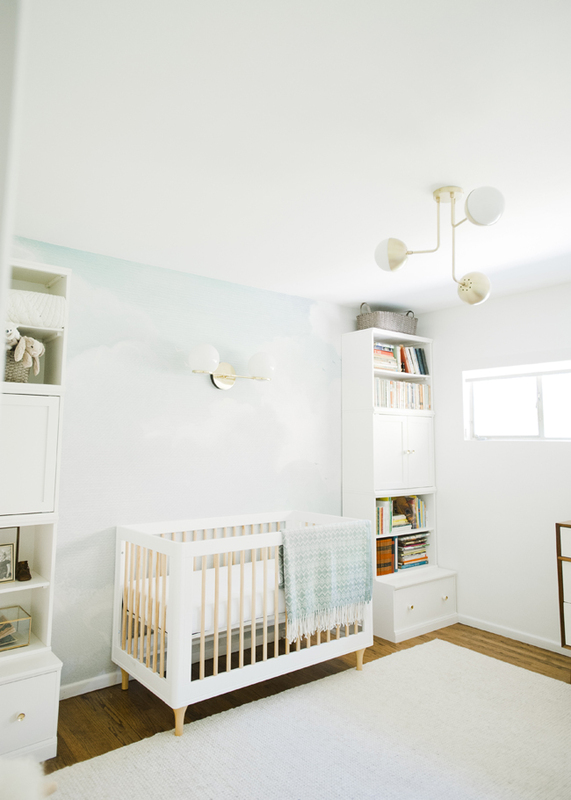 The rolling clouds are in a soft, neutral blue, and add a subtle pop of color to an otherwise white, gold, and wood space. It was also really easy to put up! Just add water. 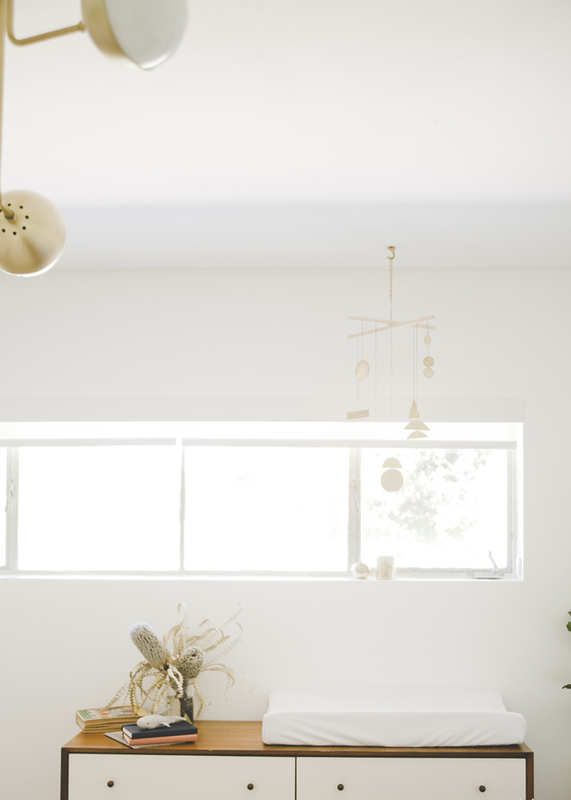 The lighting and hardware were the next thing to figure out, and I turned to my standby – Rejuvenation. If you’ve seen any of my other room tours, you know I’m a huge fan. 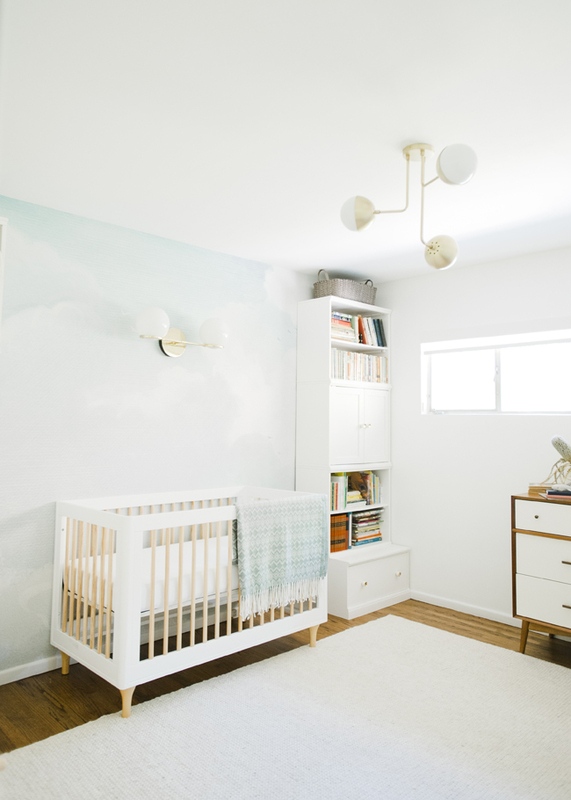 I wanted to keep the lighting consistent with the rest of the house, and wanted one large sconce on the wall above the crib. 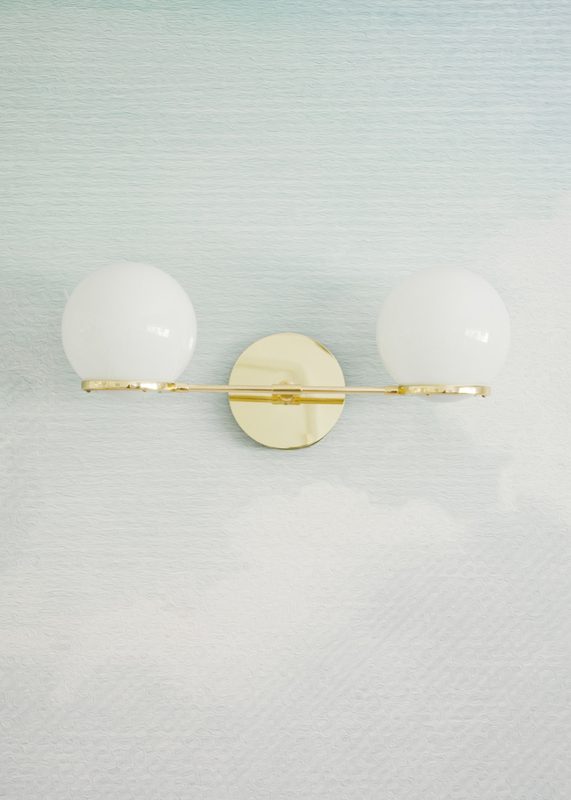 The idea is that if we have a second kid, and convert to two toddler beds in the same space, the sconce works for either set up. When it came to the rocking chair, I was a brat. I insisted I didn’t need one. 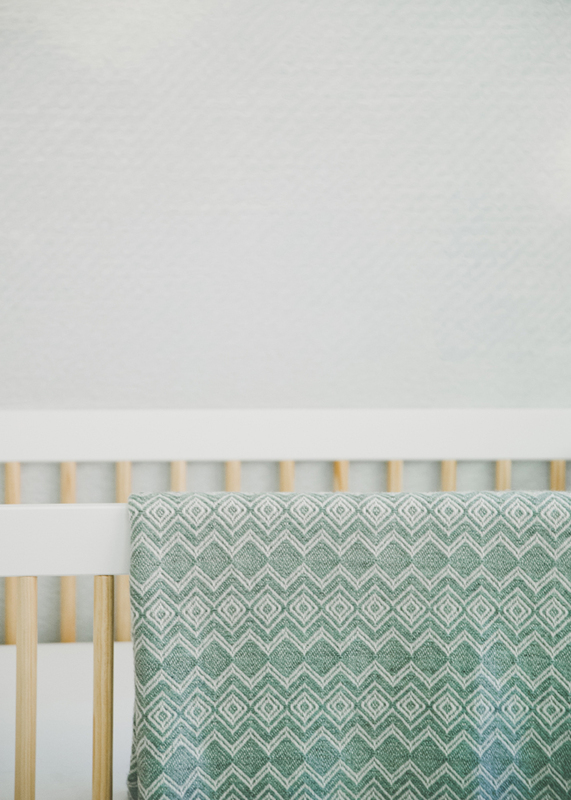 A Snoo is going to be the baby’s sleeping spot for the first six months, and it’s basically a night nurse rolled into a crib. But my mom insisted, and honestly, I’m so glad I listened. Where the hell was I planning on breastfeeding? 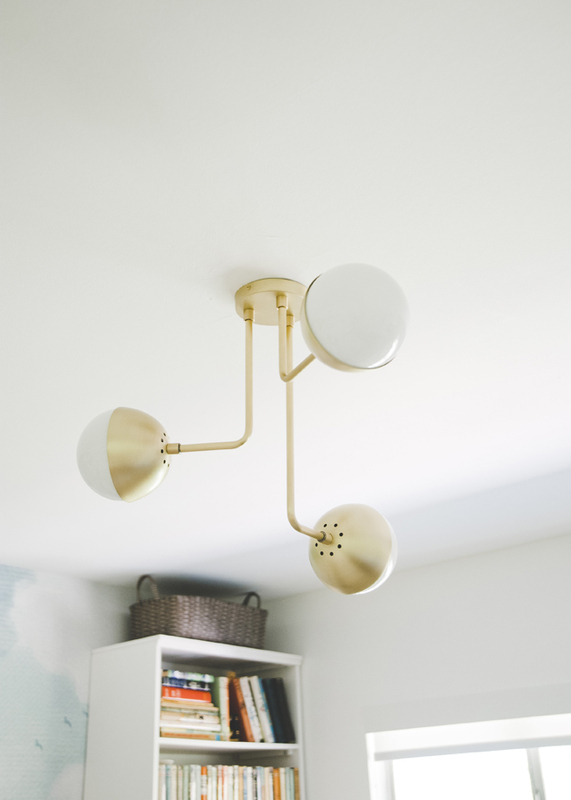 I love this one from Restoration Hardware, it’s modern and simple, and not as cumbersome as some of the other models I’ve seen. Behind the rocking chair I set up the changing area. 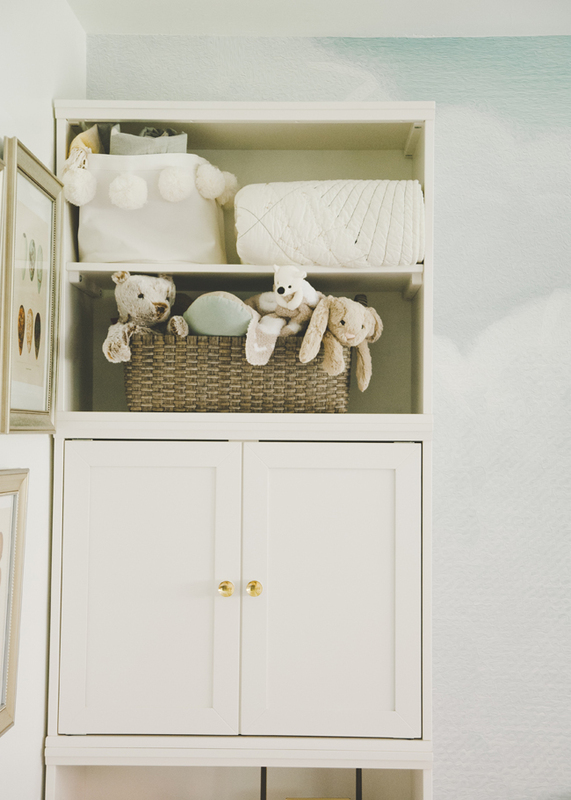 I love the dresser we have from west elm, so I just converted it into a changing station. The top drawers are filled with changing supplies, I’ve got my ubbi trashcan next to it in the corner, and I added a modern mobile from Etsy floating above. 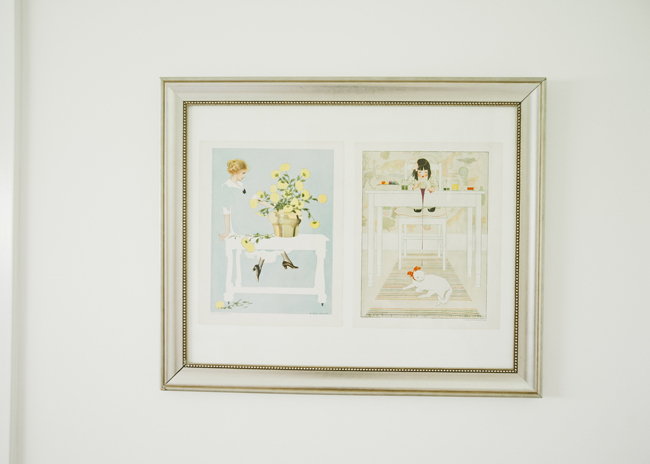 The artwork in the guest room was my collection of vintage Vargas and Petty pin ups – not exactly baby boy appropriate – so I switched them out for other vintage pieces and adorable baby animal photos – kangaroos of course! 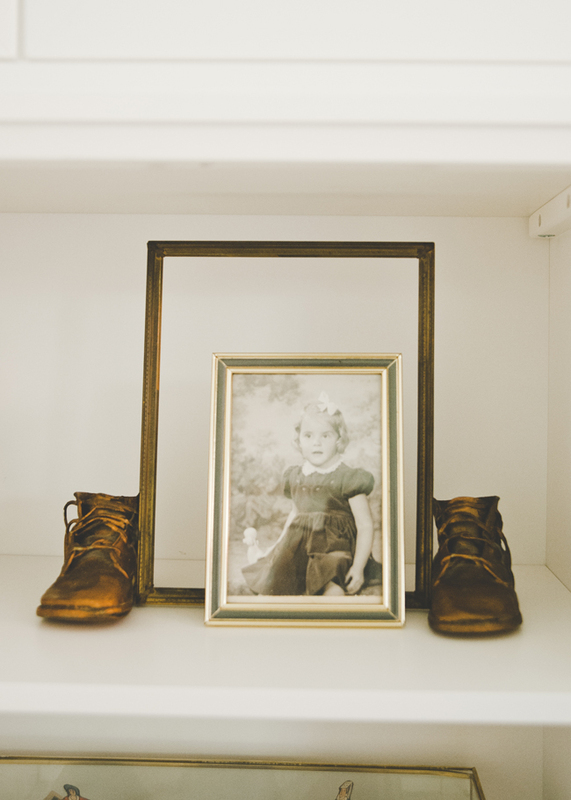 I also kept my dad’s bronzed baby booties and my mom’s baby photo as mementos in the room; I love the idea of having the family in there in small ways. My mother in-law got us the beautiful rocking Ewe, which has thoroughly freaked out our dog. But I love it! 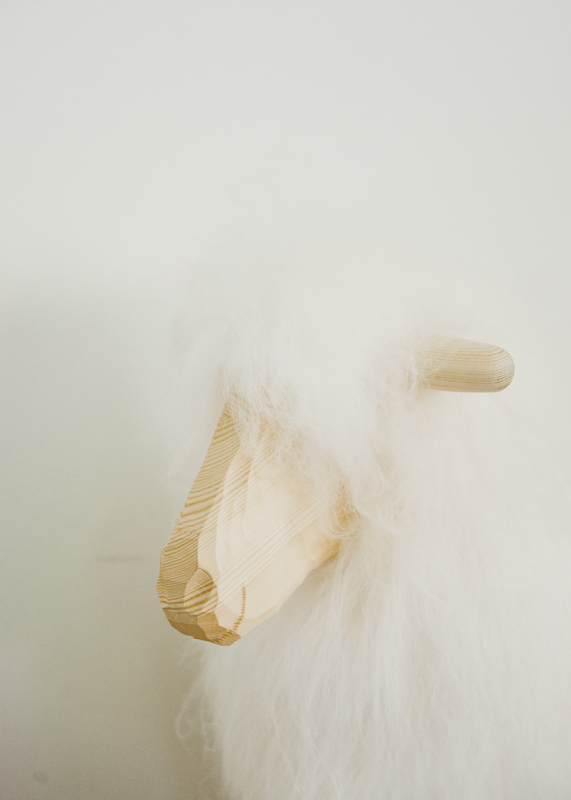 It’s soft and fluffy, and such a cute twist on the classic rocking horse. 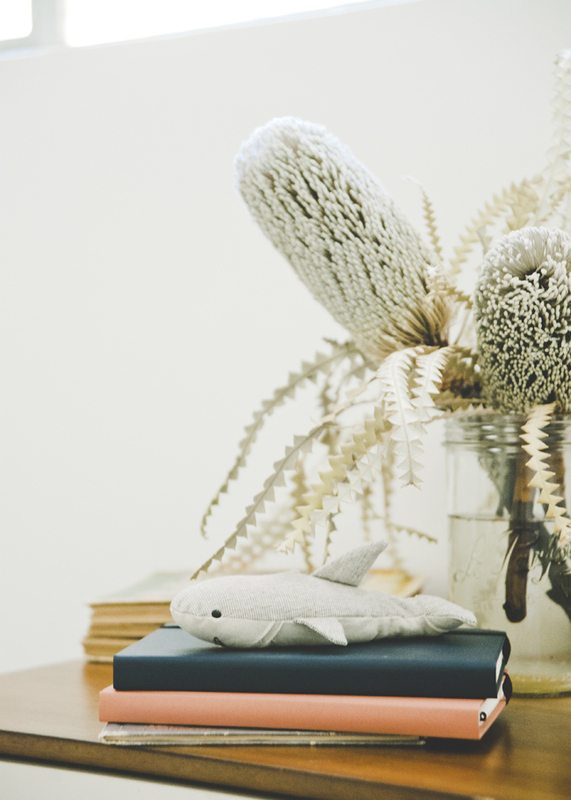 I wanted something soft and lovely for the rug, perfect for playtime and hanging out on his tummy, so when the Aussie company Armadillo & Co connected with me, it was a perfect fit. 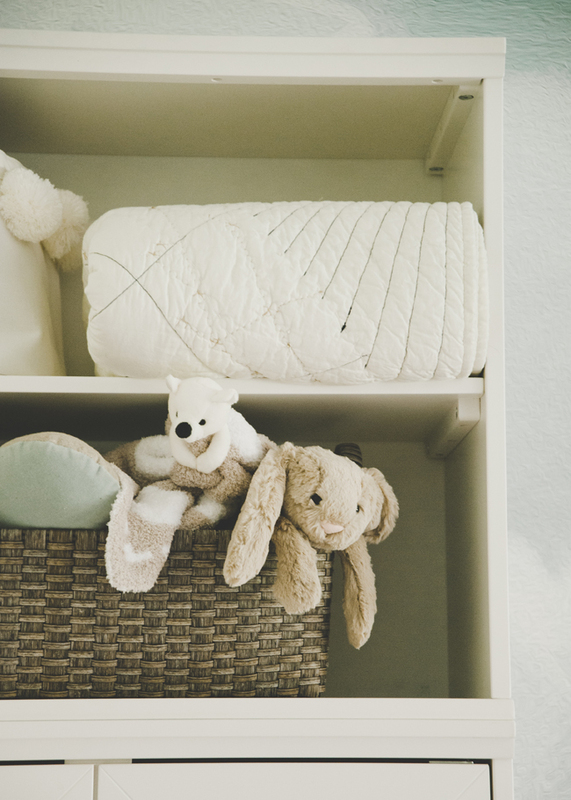 The rugs in the junior collection are soft and plush, but super durable. 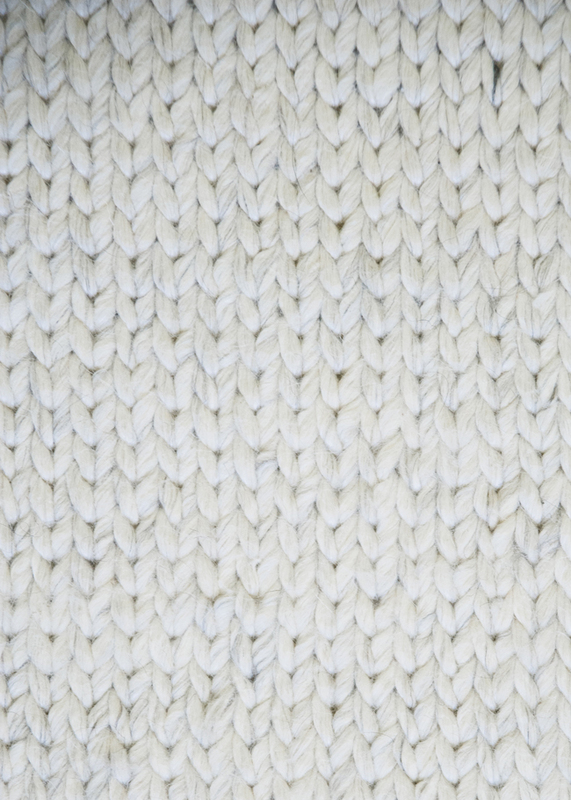 I chose the sierra weave in chalk, a not quite white hue that worked well with the neutral color palette in the room. 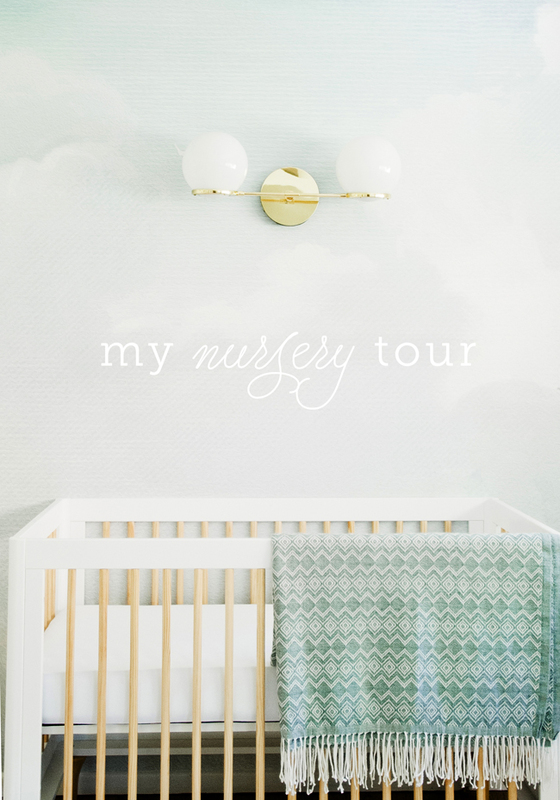 Here are the brands I partnered with to create my nursery!